Wine Thermals. Mine is plain brown. There aren't many good wine gadgets. Most are superfluous crap meant to keep the cycle of useless Christmas gifts spinning. Even the ones I like usually end up gathering dust in a cupboard somewhere. It's attractive, effective and extremely low-tech. I like it so much I feel the need to say that nobody is paying me to write this. In fact, it's going to be a welcome surprise for the Montana-based company. 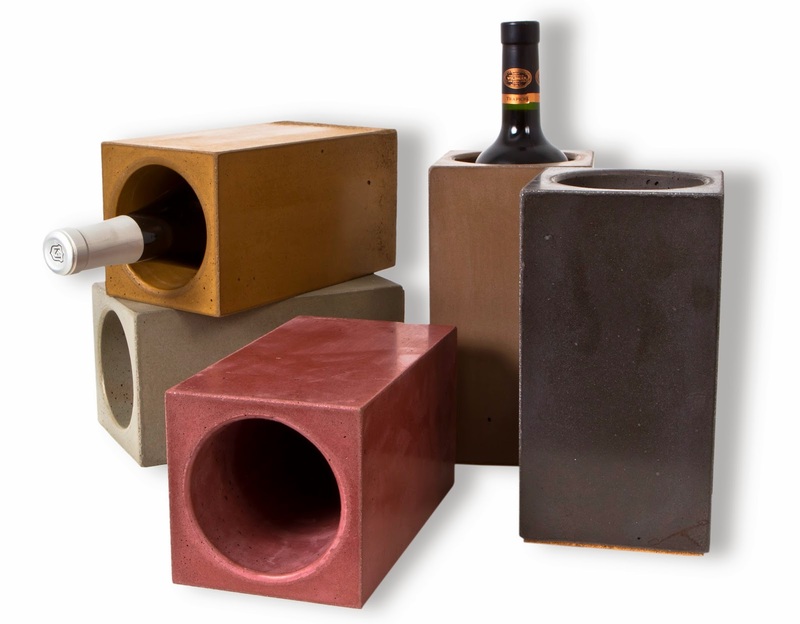 The Wine Thermal is a block of concrete with a wine bottle-shaped hole in it. You store it in the freezer. When it's time to serve a white wine, you put the concrete block on the table, and put the bottle in it. Simple as that. The Thermal keeps the wine at a steady, cool temperature more effectively than an ice bucket. With an ice bucket, you always have to worry about overchilling, so you're constantly moving the dripping bottle in and out of the ice bath. You can just leave it, dry, in the Thermal. It keeps the bottle cool for at least 90 minutes; I haven't asked longer of it than that. While it does leave a little condensation on the table, it's a whole lot neater than an ice bucket. It's a simple, elegant device that you can use every day; it gives your dinner table a touch of the trendy urban industrial-restaurant look. When you're done with the wine, you put it back in the freezer. I was waiting for it to be available on Amazon, so I could reap 4% of the sales from any click-throughs, but two months have passed since I got it and I'm still using it all the time, so what the heck. You have to order it (for $65 plus $5 shipping) directly from the Montana-based company, Angle 33. Here's their website. You must have the skills to pay the bills. I grant you that DIY is a great way to go with this sort of thing, but if I were to try to make one myself, the emergency room copay alone would probably exceed $70. Do chubby Champagne bottles fit inside? And I agree, $70 is steep! There are marble wine coolers on Amazon for less than half this price! Why are Trader Joe's wines so cheap?